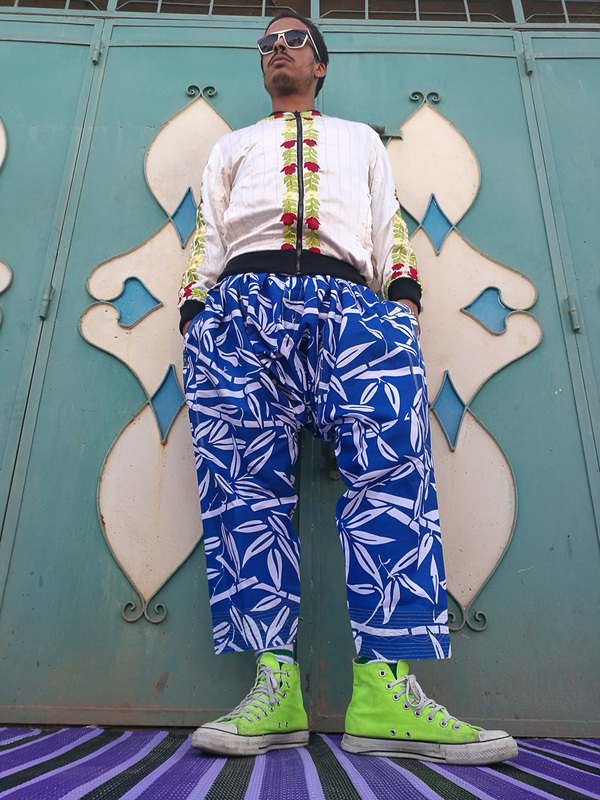 Amine Bendriouich fuses urban aesthetics and Moroccan cultural heritage with a hint of this certain je-ne-sais-quoi that keeps fashion going. Working in Marrakech with the local craftsmen, Amine designs his collections like a storyteller: each season has a theme that symbolizes his perception of the world we live in. Hailing from Ukraine’s capital, Kiev, Anna Karenina, launched her womenswear label Anna K, at the young age of 16. Her Autumn/Winter 2015 collection, presented in London, was a girly showcase of bright knits, exaggerated collars, large ribbons and — for the final look — a tin foil dress with a gigantic bow on the front, modelled by Karenina herself. Karenina’s first collection was shown in 2012 at Mercedes-Benz Kiev Fashion Days. She later scored a showcase at Pitti Immagine. That season, she received her first orders — from leading retailers like Luisa Via Roma and Colette, which took to her slogan t-shirts poking fun at fashion industry clichés, with catchphrases such as ‘it-girl,’ ‘fashion insider,’ and ‘fashion circus,’ as well as the titles of films such as Breathless, Pretty in Pink and Funny Face. Today, the brand has 40 international stockists, including Lane Crawford, Revolve and Isetan, and has recently launched an e-commerce site that ships worldwide. ASYA KRASNAYA is a story about two best friends, great sisters and trusted partners. Evgeniya and Elena started their fashion journey in 2016, driven by a long-standing desire to find two characters in one, that would rise up to the aesthetics of a comfortable, chic, colorful wardrobe. The signature is the brand’s design leading vision of bringing together Russian culture and lifestyle: ballet, luscious nature, cozy log houses and the tenderness of summer nights at grandma’s with an extremely recognizable balance, characterized by fresh colors, soft and good for skin fabrics, high definition of finishing and signature currant print, that form the unmistakable habitat for ASYA KRASNAYA. MINI FASHION – BEYOND NATIVE collection, a collaboration with three up-and-coming international designers. The collection sees the designers highlighting the creative tension that exists between their cultural roots and adopted homelands. Find out more about MINI FASHION here*. Wael Hussain was born and raised in Dubai, the Middle East’s most dynamic city. Coming from a family heritage of sartorial practices, Wael has equipped himself with the knowledge of the latest production methods and best practices of the couture industry. His youthful restlessness and ambition would not let him rest on his laurels, as he dreamt of establishing his own brand. Brainstorming with a friend over coffee for a suitable name for his fashion line, he decided to avoid using foreign or misspelled words. His label would have to reflect his own self. Thus in 2015, the label WAEL. was born. Zaid has always aspired to become a fashion designer. 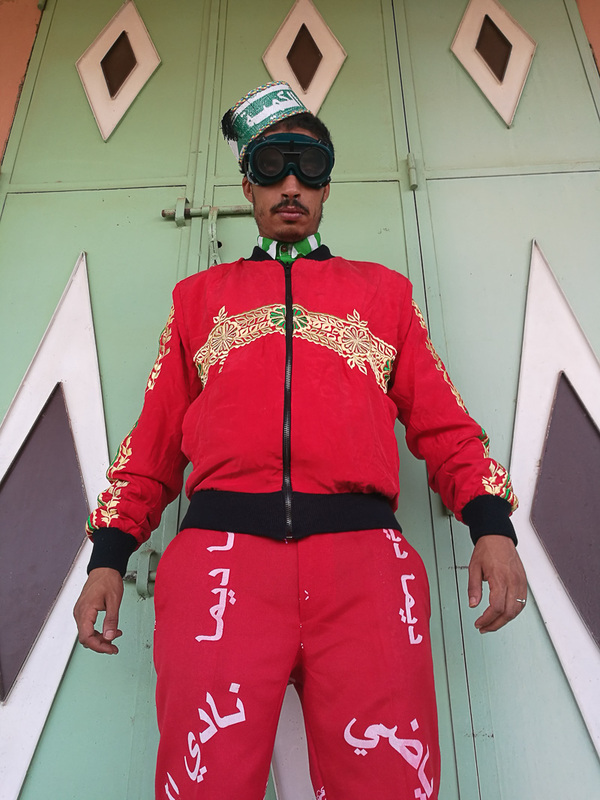 With a global background being an Arab American educated in the Italian fashion techniques he found inspiration in the fusion of cultures. Imagining a woman adorned by European clean cuts, true American liberties, and the ever-existent Arab dramatization has helped him to create the globally hybrid woman, a representative of a new globalized world and the woman whom he yearns to design for. 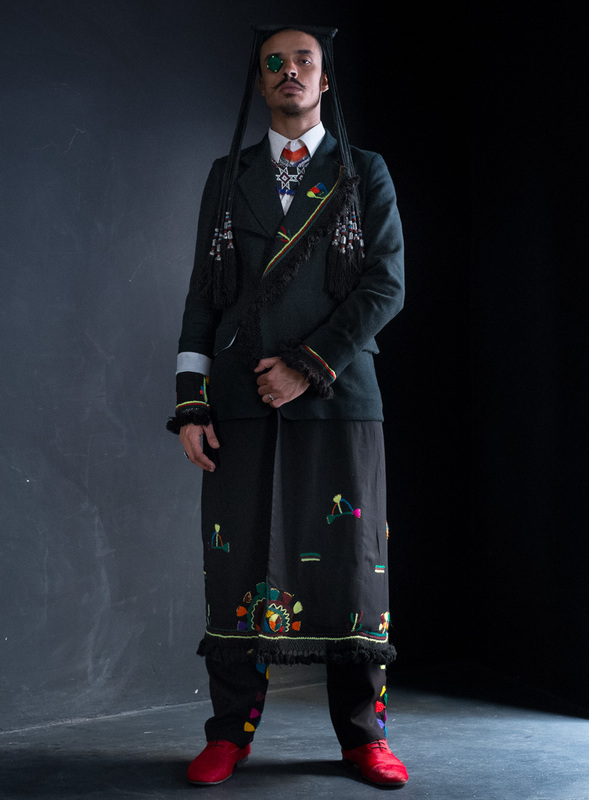 His pieces are all handmade and abide by couture techniques, embroidery, and finishing. 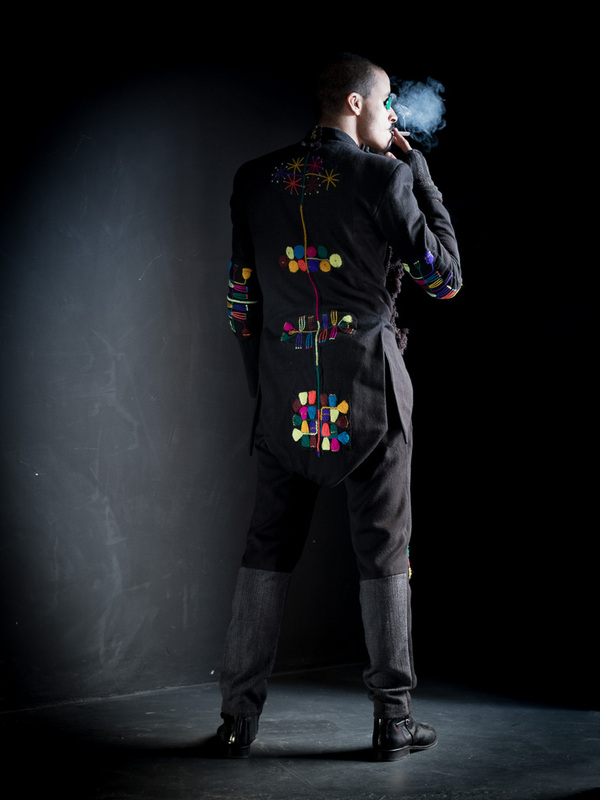 Furthermore, all his prints are hand painted onto the fabric therefore the wearer becomes a walking piece of art. Artem gryshchenko and Victor Victorov are the creative duo of the brand dressaddict. 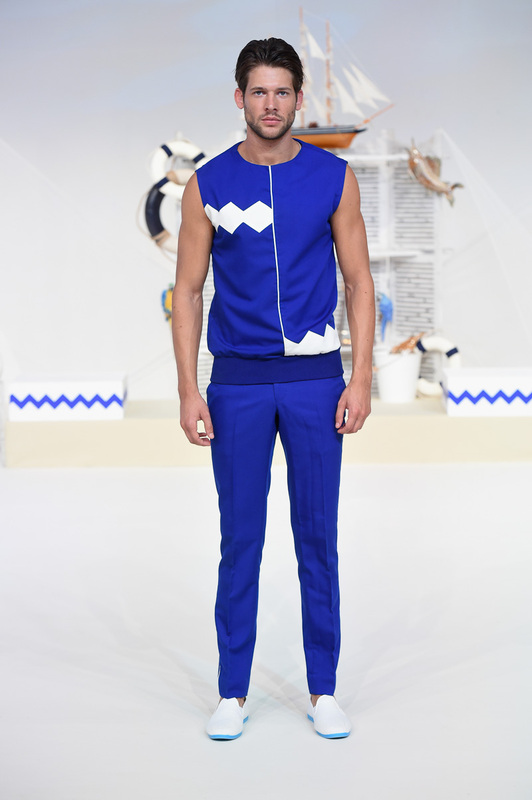 The ukrainian designers create the brand’s formula based on numerous experiments with forms, cuts and fabrics. They have managed to make a garment from some of the simplest shapes that have great wearability and versatility. The ethos of their designs has been guided by the highest standards of quality, design and presentations. Roni El Helou was born in Lebanon in 1992. Although he studied Marketing, his true calling was always in fashion design. 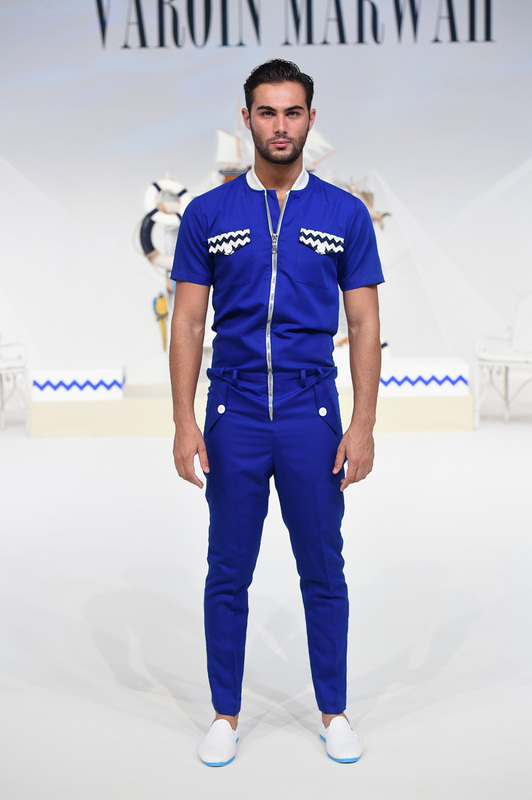 In 2013, he was accepted at Creative Space Beirut, a fashion design school offering free education. He also worked for many private clients and Lebanese designers. In 2014, Roni won first place at a national fashion design competition hosted by Persil (Henkel). As a result, he was sent to Milan to participate in a workshop at the Nuova Accademia di Belle Arti. Roni graduated from Creative Space Beirut in December 2017. His thesis collection was shown as the finale in a live fashion show at Dar El Nimer for Arts and Culture. In 2017, Roni Helou was selected by Starch foundation to launch his brand and showcase his first collection at Fashion Forward Dubai and the Starch foundation’s shop at Saifi Village. Crafted for the modern-day women Royaled is a pret-a- couture brand offering bespoke structure and powerfully stylish pieces. 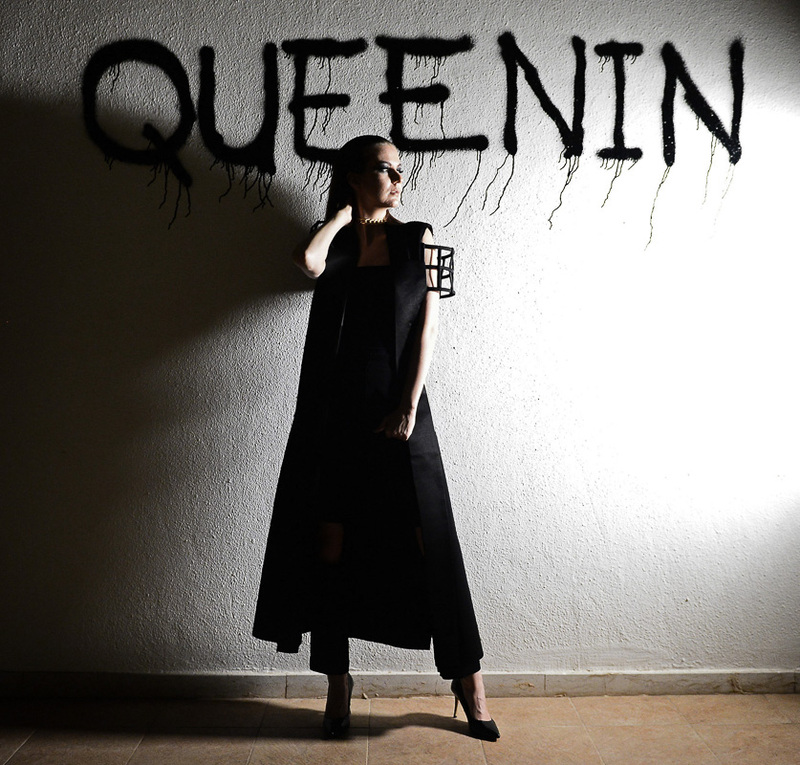 Creating garments with a persona that provide mesmerizing elegance and character only fit for a queen. Developed through meticulous tailoring and high quality fabrics. Royaled is founded by Renad Hefni, a young Saudi visionary committed to empowering women through their senses of individuality bringing the brand essence “crown your confidence” to life. A crown to represent power, legitimacy, victory, triumph, honor and glory; traditionally passed down by monarchs. In its purest form, it symbolizes leadership to closely align the women of the 21 st century with their rights of passage to confidence and influence. SADEEM is a Pret-a-Couture fashion brand by Saudi designer Aljawharah (Sadeem) Alshehail. The line is centered on creating collectible high-end pieces for a woman who is confident, elegant and sophisticated; a woman who is looking for timeless, well-made and versatile attire. SADEEM's garments are designed and created with a focus on quality and a very acute attention to detail, resulting in clean lines and a luxurious feel. An advocate of sustainable design, SADEEM embraces ethical practices, collaborating with companies that share the same principles. SADEEM's fabrics are non-toxic and are sourced from companies that employ sustainable practices. A core value of SADEEM is to provide fashion that has a positive impact on the global environment and society. Born to a family of art lovers, Sara Altwaim developed a love for everything artistic. She took up writing poetry as a hobby and fashion design as her life’s passion. 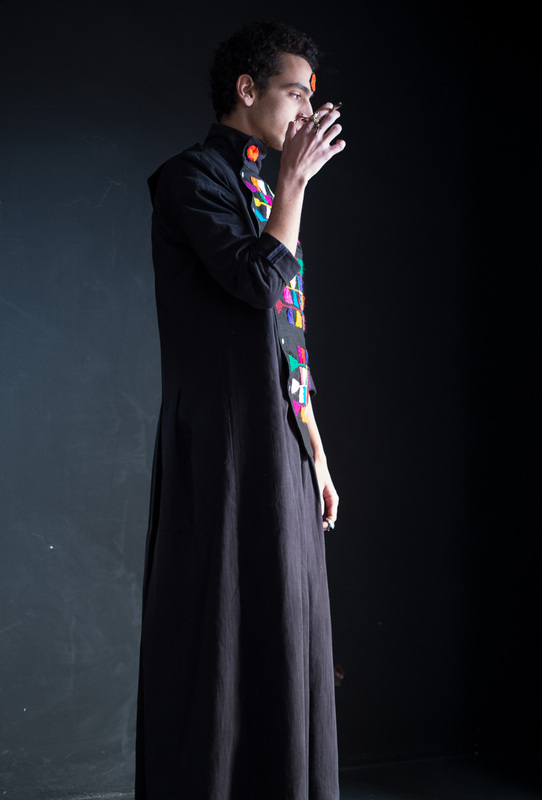 After attending the college of arts and design in Jeddah, she went on to teach art and took the time to develop her own unique style in fashion. Her first collection launched in 2015, inspired by the Japanese blossom ‘Sakura’, was a collection of delicate and feminine pieces made from organzas and chiffons in pink. Her latest collection Salam, reflects the designers ideas of wishing peace for the entire world. UTRUJ lends a new vision of contemporary modest wear that women today can truly identify with. With an ambition to universalize the traditional abaya by designing it as versatile outerwear, Utruj aims to bridge the fashion gap between the Gulf and the rest of the world. 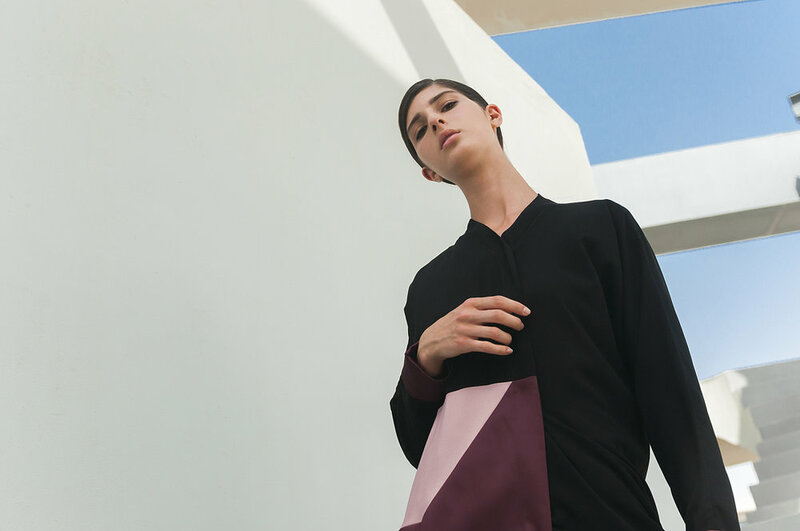 breathable in hotter temperatures, UTRUJ is combining Western consumer consciousness with Khaleeji practicality. UTRUJ’s Creative Director, Laila Abduljawad, is a former jeweler with a design background, and leads a design team with an equally unique mix of professional backgrounds; from engineering, filmmaking, and product development. “We spend extensive research period drawing on the expertise of international couture and high-street brands to understand not only the design side of fashion, but also the commercial side,” says Abduljawad. 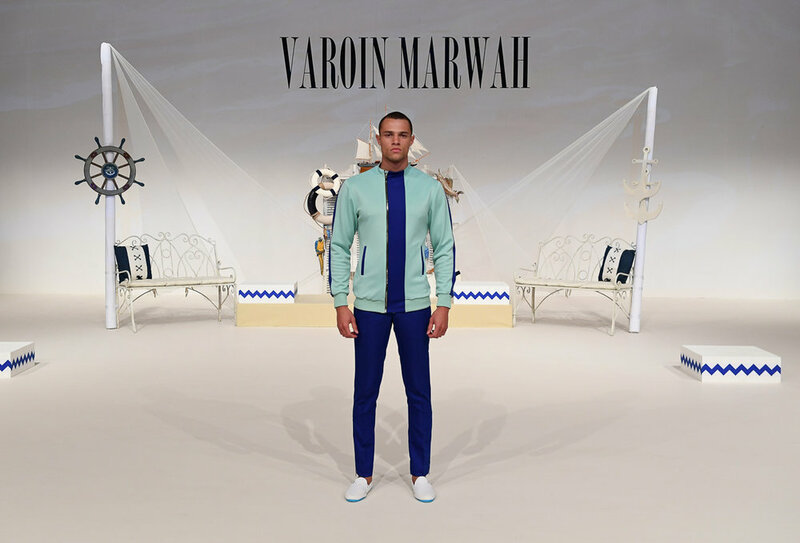 A 2017 nominee for the prestigious Woolmark prize, Varoin Marwah’s signature style subtly draws from the cosmopolitan arena of its founding ground, Dubai. Varoin Marwah creations stand apart due to their faultlessly clean lines, careful detailing and contemporary silhouettes. The brand aesthetic epitomizes simplicity at first sight, yet when on an exclusive rendezvous with the garments one can notice the punctilious attention to fine details. The brand believes in innovation to the classic essence of menswear to provide for a wide spectrum of ensembles. Wearability, durability and quality are the three most important aspects of a Varoin Marwah creation.